Blue Christmas, Depression and Overcoming that mess! XL NEWS: Los Angeles/Nashville/Atlanta–(September 17, 2013) – HeadzUp FM announced today that it will release, market and promote worldwide in Spring 2014 a powerful and innovative music project entitled: “Christian Hip Hop 2014”. Powered by HeadzUpFM, its promotional partners and network of affiliates worldwide, Christian Hip Hop 2014 will feature blazin tracks and mixes from up and coming and renowned emcees and deejays focused on spreading the Gospel through hip hop. Christian Hip Hop 2014 will be distributed worldwide via Capitol Christian Music Group, a Universal Music Group company on March 18, 2014. Additionally, Christian Hip Hop 2014 will be supported by leading indie inspirational hip hop urban music portal ChristianHipHop.com. To submit music for consideration, please send (a) track(s), (b) bio and (c) lyrics to (.wav files preferred) to: headzupcomp2014@yahoo.com … For more information, please visit: www.HeadzUpFM.com. About Capitol Christian Music Group: An unwavering vision combined with a commitment to excellence and an arsenal of exceptional talent continues to make Capitol Christian Music Group the leader in the Christian/Gospel music industry. Representing such iconic artists as Chris Tomlin, TobyMac, Amy Grant and CeCe Winans, Capitol CMG is a multi-faceted company whose assets include such legendary labels as Sparrow and ForeFront Records as well as the industry’s top distribution company and an award-winning, global leading publishing company. 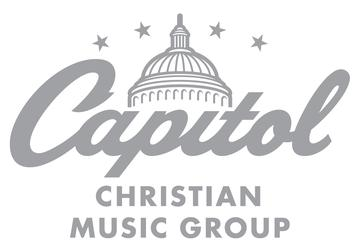 Formerly known as EMI Christian Music Group, Capitol CMG is a division of Capitol Music Group, a Universal Music Group company. Over the years, the venture has grown from a scrappy family-owned independent music label to a multi-faceted business that includes Capitol CMG Label Group (Sparrow Records, ForeFront Records, sixstepsrecords, Hillsong and Credential Recordings), Capitol CMG Publishing, Motown Gospel and Capitol Christian Distribution. The company’s roster features top names in the Christian and gospel communities, among them Jeremy Camp, Michael W. Smith, Hillsong United, Smokie Norful, Tye Tribbett, Britt Nicole, David Crowder, Newsboys, Matt Redman, Tasha Cobbs, Colton Dixon, Mandisa, Matthew West, and VaShawn Mitchell. For more information, please visit: www.CapitolChristianMusicGroup.com.